If it is time to replace your old garage door, and install a new overhead garage door, this article can help you make the right decisions on your way to a new overhead garage door. We are located in Springfield Virginia, but this article can be used for anyone who plan to purchase and install a new garage door. You may be looking for a new garage door in Alexandria, a new garage door in Fairfax County, or even for garage door service in Washington DC. This article will help you make the right decision on your way to a new overhead garage door. But before we get into the new garage door and the garage door installation, we first need to determine whether you really need a new garage door, and what are the reasons to replace the current door. And in order to answer that, we need to first answer an important question that every garage door technician in Springfield Virginia need to answer almost every day while servicing garage doors: Repair or replace the garage door? We will take an example of a customer who called about garage door repairs Fairfax County Virginia, and told us that the door need some minor repairs. When the customer called us, he described the problem this way: The door suddenly stopped working, I think that the cable snapped. Now let’s make it clear, cable replacement is something we do almost every day during our garage door services. But when our garage door technician arrived, he found a door in a terrible condition, that no garage door repairman who respect himself will even consider repairing. And the reasons why we will not repair the door can move between safety reasons, to cost vs value. You may wonder why we will choose not to fix the door, and we will recommend to replace it, so we took pictures of the door, and we will present here so you will understand. Even if you are not a qualified garage door technician, you can see that this door in such a bad condition that it just cannot be fixed. We do offer same day garage door repairs in Virginia, like garage door repair in Fairfax County, or garage door repair in Virginia, but there is one thing we will never do, and that is to break a safety guidelines. There are written rules about garage door safety, and there are unwritten rules. And both of them is what guide us during our overhead doors services. Repairing the door isn’t always the wisest decision! We wish that all the overhead garage door need to work again is some adjustments, and replacing few parts, then for sure you should keep the existing door, and not even considering to replace it. But if the door is rotten, have many broken parts (especially when it comes to broken panels, tracks or frame), then maybe it is better for you to consider to replace the whole garage door. A new garage door will probably cost you less than it would cost you to repair the door, but if you look at it as an investment for many years, you may find that fixing the garage door is the right choice for you. Not only that you will get a new garage door, but you also may save money that you would spend on a garage door that may break again soon. So if your garage door is broken, and needs thorough repairs, think twice if repairing it will be the best thing to do. • The door is too old: As we explained in the case above, not every garage door can be repaired. If the door is rotten, falling apart, or any reason that prevent the door from working safely, replacing the garage door may be the right decision. • Broken parts: If you find that you need to contact garage door repair service in Fairfax County or in Springfield every other year, there may be a deeper problem that need to solve. Sometime it can be solved, and sometime the whole door need to be replaced. This happen mostly when the wrong door was installed, or if the installation wasn’t performed by a qualified installer. • Cosmetic reasons: Many garage doors are installed at the front of the house, and when they get old, and weren’t maintained on time, they affect the way your home looks from the outside. New garage door can make your home looks nicer, and change the appearance of the place where they are installed. • The door is not the right door for you. 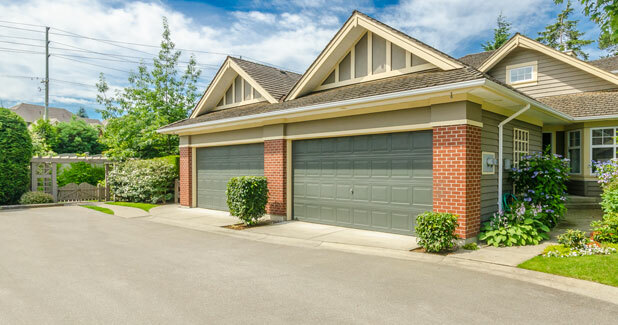 If you are currently using a steel hollow garage door, instead of a high quality insulated garage door, you may want to consider replacing the door. There are many qualities that can be earned when installing an insulated overhead door, especially if you live in Virginia and would like to reduce the affect that the cold may have on homes in Springfield. You can read more about it in the article about “New garage door Virginia”. • Safety reasons. The new doors are stronger, and improved than the old doors. Many of the old doors can be opened from the outside by a burglar. As you can see in this Video, your garage door is not as secured as you thought! Before you choose your new garage door, whether you need new garage door in Springfield, or new garage door in Fairfax County, you must keep in mind that a new garage door is something that you won’t have to do more than once every 10-50 years! Why such a big gap? Because there are few things that can affect how long you’re new garage door will last. The first thing is the quality of the new overhead door. Some garage doors are made to last 30 years or more, and some are designed to last 10 years or more. Quality matter! The second thing that can affect how long your garage door will last, and how often you will need garage door repair service is the maintenance. If you will maintain and lubricate your garage door twice a year, clean the door and not ignore garage door problem, your door will last for the max amount of time. Steel garage door: The steel doors are the most popular doors in our days. They range from hollow steel doors to fully insulated garage doors. You can choose the design, the color, with window, with extras and more. You can contact a garage door supplier in Fairfax County or in Springfield for a new steel garage door, and choose the right door for you. Aluminum Garage Door: Aluminum doors has many qualities, since the aluminum will not get rust over the years, and the fact that you can combine glass and Aluminum for the desired design. Wooden Garage Door: When it comes to wooden overhead doors, the design options are limitless. You can choose the size, the color, the shape, the type of wood and many other parameters on your way to the next garage door. You can locate a dealer who supply custom made wooden garage doors, so you will get the perfect garage door for you. Vinyl Garage Door: If you like the Vinyl overhead doors, we can help. We offer large selection of overhead doors including Vinyl garage doors. They are considered easy to maintain, and can last for many years. Some of the tips we will share with you here are written for overhead garage doors in Springfield Virginia. But it doesn’t mean that if you are located someplace else in Virginia you will not find them helpful. If you are located in Fairfax County, in Washington DC, or even need garage door repair in Alexandria, you will also be able to benefit from the tips, and consider them on your way to replace your old garage. 1. Where the garage is located? Is the door for your garage facing the street and located in the front of the house? 3. How often will you be using the door? 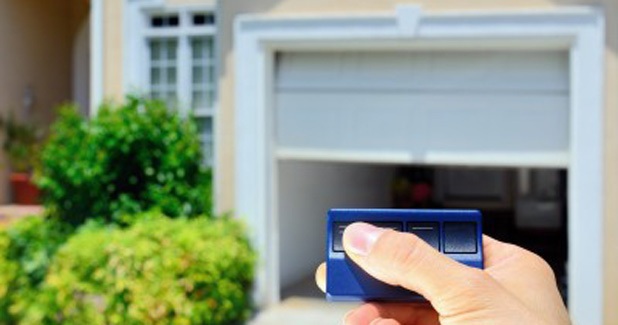 Different volume of using garage doors require different doors and of course different garage openers. 4. What is the condition of the frame? Is there framing work that need to be performed before installing a new garage door? 5. Do you need a window section? Do you need a window door? 6. Do you need a garage opener? We can provide you with a high quality operator in Virginia like Lift Master opener. 7. What is the structure of the garage? Some garages in Virginia have a structure that require certain door, or a special installation and different spring system. 8. Do you need a custom design? What color do you want? (There may be some limitation applied for some areas in Virginia). As you can see there are many things to consider, and most people try to find the balance between a door that will be both reliable, beautiful and which will provide the security and protection which is expected form a garage in Virginia. You should know that if you are using a motorized one, you do not need an additional lock, since the opener itself will make the door locked. But at the same time, the installer must pay attention to the little details, since a garage which isn’t secured can be easily break in, as you can see in the following garage door videos. We offer years of knowledge and experience in the garage field, and we will gladly assist you and share our knowledge to help you make the right decision. 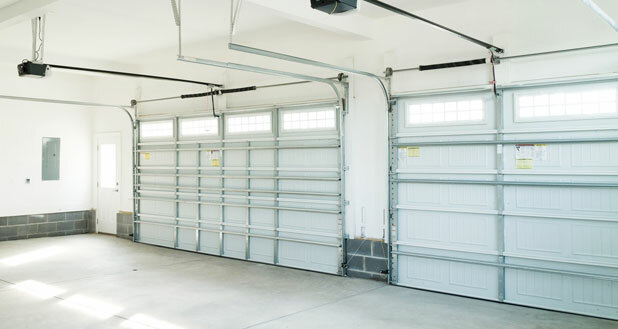 We offer a large selection of overhead garage door in Springfield VA, so you will be able to choose the right garage door for your house or for your business. We also offer roll up gates repair and installation, which makes Vernon’s Garage Doors the right company on your way to a new garage door. An important part of getting a new garage door installed is the garage opener that comes with it. If you live in Springfield, and own an overhead garage door, but you never installed a garage opener, you will be surprised by how much an electric opener can improve the quality of life. Just think that instead getting out of the car to open the garage when you want to park inside, and manually open the door, and then again get out of the car and close the door manually; sometime few times a day. It can really be exhausting. When we purchase and install an electric garage opener, it allow us to open and close the door remotely, without touching the door itself and without using any force. If you are located in Springfield, and consider installing a new opener, we are here to assist you. From residential to commercial overhead garage door, we are here for you. The garage operators that we use, are always from the top quality, and from the leading garage openers manufactures in Virginia. We know that you can get lost in the endless options of new garage doors and new garage doors openers. 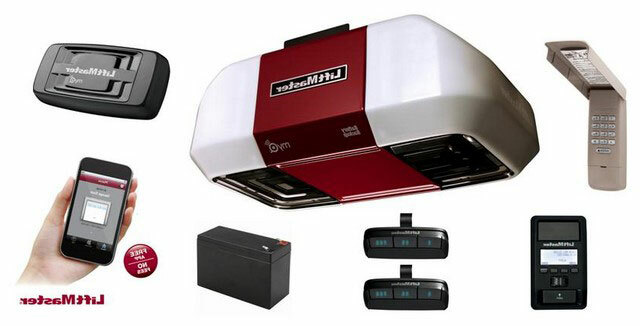 But just as we mentioned before – Never compromise for the quality of the garage door opener, and about the quality of the installer, since those 2 things are what going to determine if the opener are going to get a garage door that going to work and serve you for years, (sometime for more than 20 years!) or one that is going to need a repair service often. There are many garage door openers manufactures in Virginia, who offer top quality openers. Some of them are ok, some of them are good, and some of them are the best. There isn’t one opinion that all the garage contractors in Virginia will agree about, so we will just tell you what we at we think. After many years of installing and servicing garage openers in Springfield and in Fairfax County, we got to the conclusion that the openers from the Lift master brand are the openers we prefer to install.It can be a garage door opener in Sprignfield Virginia, or gate opener in Baltimore. It is not that we cannot install other new garage opener, it is just that when we perform a garage door project, whether it is a garage door repair in New Rochelle or new opener installation, we put our name on the job, and we prefer to put our name on an opener that was made by Lift-Master. The type of opener, Belt or Chain drive doesn’t matter, and the type of door also do not matter. We learned that Lift master is a company that you can trust to deliver a high quality, strong and reliable opener. If you went and invested in high quality garage door, and hired a qualified installer, trying to save money by purchasing a cheap opener will be a mistake. Invest in quality, and get quality in return. Today you can find garage openers connected to WIFI. Finding a good contractor is never easy. It can be a garage door installer or a roll up gate repairman. We believe that a real professional, whether it is a garage door technician in Fairfax County, or a garage door contractor in Virginia, should be able to do the entire repairs and services the industry require. If someone only know how to repair garage doors, but do not know how to install a new garage door, we will not consider him a pro, and vice versa. The reason that a technician should be a pro in all aspects is that sometime he will need to determine whether the garage door in Springfield can be repaired or not; and that require a general knowledge. All our garage technicians in Virginia are professionals. They have the experience and the knowledge, combined with high quality tools, which are required to perform all types of installations in Springfield. The reason that a professional installer must be experienced, is that each installation is unique, and require different method to complete the project, and this is where the experience become important. We sometime get calls from people asking us to repair a garage door that was recently installed. When we arrive, we find that someone tried to install the door, but did not do a good job, and the door isn’t working properly. DO NOT TRY AND SAVE MONEY ON THE WRONG THINGS! If you think that you can go get a door from home depot, use a friend, a neighbor or a handyman in Springfield for the installation, and by doing so save money, you will find that you will end paying double. Because when you will call us to remove the door and to reinstall it, you will pay for the removal as well (Not to mention to possibility that door may not be the right door for your garage). We are professionals, and servicing garage doors is what we do. Using handyman instead of a qualified installer who installed many garage doors in Springfield can cost you more. And it doesn’t matter if it is a garage door in Springfield, garage door Fairfax County, or garage door in Fairfax County.